By creating products that promote achievable sustainability, Canadian based company, Boho & Hobo, give us the opportunity to replace everyday household items–many of which end up in landfills too soon after we’ve brought them home, with eco-friendly options. Supporting customers in becoming agents for change, a main motivation behind the brand, Boho & Hobo encourage mindful living for the environmentally conscious home. With a heavy focus on eliminating single-use plastics, Boho & Hobo launched their line in 2017 with their signature Beeswax Wraps. After an incredible response from friends, family and customers alike, this Ontario-based brand has since grown their storefront and online boutique to include dozens of ethically sourced pieces. “Some of our most commonly used day to day items are contaminating our landfills and oceans at alarming rates. With simple switches to more sustainable options, these environmental impacts can be greatly offset.”, reports the brand. 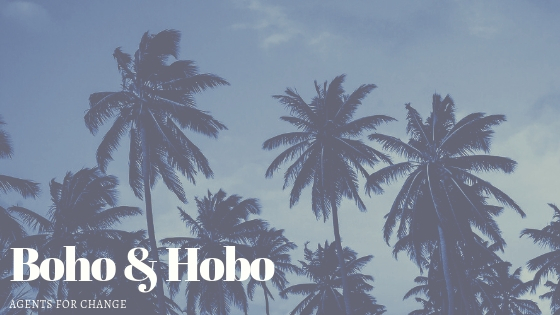 Boho & Hobo not only ensure their manufacturers minimize the use of plastic in production, but they conduct detailed research into the on-site working conditions of producers. The brand frequently sends out orders in recycled boxes collected from their own pantries, establishing a full-circle approach to their efforts in reducing their carbon footprint. In hopes to encourage PITCH-IN participants to take their environmentally conscious lifestyles one step further, Boho & Hobo is offering our registered Eco-warriors 25% off select items. This incredible offer will be available through a discount code sent to the email address used at the time of registration for PITCH-IN Week 2019. You can find these featured products like reusable stainless steel straws, organic produce bags, bamboo toothbrushes, wheat-straw Bento boxes and MORE, linked here, in our shop! Not yet registered? Head over to our registration page where you can register online & take part in PITCH-IN Week 2019, starting April 22nd. Recently featured in Chatelaine and on popular blogs throughout Canada, you can find all Boho + Hobo has to offer by visiting their online boutique.